Sony wird in Amerika bereits demnächst mit PlayStation Now an den Start gehen. Von offizieller Seite beschreibt man den Start als Open Beta, aus kommerzieller Sicht, geht der Service aber praktisch an den Start. Während der Beta-Phase wird man diverse Zahlmodelle testen. Andacht sind derzeit Preise zwischen 2,99 und 19,99 US-Dollar. Da die jeweiligen Spiele über PlayStation Now nur ausgeliehen werden, sieht man sich nach dem Kauf mit einem Zeitlimit konfrontiert. 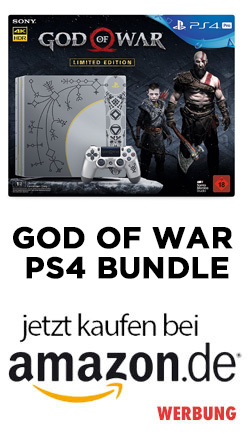 Laut Sony kann man die in PlayStation Now angebotenen Speile für 4 Stunden, 7 Tage, 30 Tage oder 90 Tage ausleihen. Die Preise orientieren sich dabei nicht nur an der Dauer sondern auch an dem jeweiligen Titel. Nachfolgend die komplette FAQ im englischen Originaltext. Is the open beta service a commercial launch? What exactly is the open beta service? Yes. By expanding access to all PS4 and PS3 users in the Mainland US and most of Canada, SCE will further evolve the service by receiving feedback from users. Users are able to enjoy PS3 titles on their PS3/PS4 via rental. Why are you calling it an open beta service, even though it is a commercial launch? PS Now is a pioneer service, and we will continue to evolve it in order to deliver the best user experience. We will listen to user feedback and flexibly decide on the service content and pricings. Do you plan to deliver the service as open beta for a while? Yes. PS Now will operate as open beta for a while. Did you decide to operate PS Now as an open beta service because problems occurred during the private beta? There are no problems that have an impact on operation. We received very positive feedback from our users during private beta, so we have decided to expand the service to a broader audience. The beta is going very well. How many users have participated in the private beta up to now? We do not disclose specific numbers. What has been the primary feedback from the users in the private beta? We received positive and constructive feedback in the closed beta which helped us shape and improve the service. We will continue to evolve PS Now by constantly adding new titles and enhancing features. Will the open beta service be available everywhere in the US, or just certain cities or states? I live in an area where the open beta service should be available, but I cannot seem to participate. How can I join? The open beta service will be widely offered in the US and most of Canada, but depending on users’ network environment and external factors, the service may not be available. I live in a country where the open beta service is not available, but I am able to participate. Why? PS Now open beta is offered based on the services’ term of use. We do not guarantee the use of the service outside the US and Canada. Why is the open beta service for PS4 being offered before PS3, even though the private beta was offered on PS3 first? Are there problems with beta on PS3? In order to reflect user feedback and offer the best user experience on PS3, we have decided to deliver the open beta service on PS3 from September. There are no problems that have an impact on operation. Specifically from when are you planning to offer the open beta service on PS3? Open beta service on PS3 will be offered from September. We will announce further details when ready. Will PS Now breakeven in FY15? We do not disclose profitability of individual services. Are there a maximum number of devices that can access PS Now concurrently? We do not disclose exact numbers. When will the private beta for PS Vita/PS TV be available? Private betas will not be available for PS Vita/PS TV. The open beta service will be offered by the end of this year. Why are you not offering a private beta for PS Vita/PS TV? We are not offering private beta for PS Vita/PS TV because the service content and game titles for the private beta are the same across all platforms and devices. We will offer the open beta service on PS Vita/PS TV based on the feedback we receive from the private beta for PS3, PS4 and BRAVIA. Will you not offer private betas for PS Now compatible devices in the future? Will you just offer open beta services? In general, we will not offer private betas. We will conduct internal testing and offer open beta services. When will PS Now be offered on Sony products besides BRAVIA, and on other devices like LG and Samsung Smart TVs, etc? We’re already talking with a variety of potential business partners, with the aim of further expanding our streaming game service to consumer electronics devices including smartphones and tablets beyond PlayStation and Sony devices. What are the specific rental durations? 4 hours, 7 days, 30 days, 90 days. W’ll continue to listen to gamer feedback to select appropriate durations. You mentioned in your press release that PlayStation Now rentals will be available from $2.99, is there a ceiling on pricing? The open beta launching will test multiple pricing tiers and rental durations. For example, you’ll see shorter rental periods priced as low as $2.99, and most titles will be between US$2.99 and US$19.99. But as with all content on PlayStation platforms, developers and publishers ultimately decide their price point. We’ll continue to listening to gamer feedback to select appropriate pricing. Specifically, from when do you plan to offer the subscription option? We plan to offer subscription options in the future, but have nothing to announce at this point in time. We will announce further details when ready. What will the pricings be for the subscription option? When will the open beta service be offered in countries and regions beside the US and Canada? We will announce further details when ready. What games can users enjoy at the start of the PS Now open beta service? In addition to the above titles, a 100 exciting PS3 games will be available. Can you please tell me which titles were available for hands-on at the E3 booth? Will the titles available for hands-on at the E3 booth be offered at the start of the open beta service? What other titles can we expect in the future? Titles from a wide variety of genres will be available. We will announce further details when ready. How much degree of 3rd party publisher support are you expecting for the service? Many 3rd publishers have shown interest and support. How can users access their games on the open beta service on PS3/PS4? PS Now will be integrated within the PlayStation Store. Users can access the PS Now section and rent their games. Furthermore, on PS4, the games users have once accessed will be displayed on their home screen, so users can start playing their games directly from their home screen. How much of the game’s save data can users store on the cloud server in terms of quantity, size and time? There are no exact limits to how much users can save their game data on the cloud server. (In response to the above answer) Won’t this require a lot of money to maintain the servers? How will this make sense as a business? How do you plan to earn profit? We do not disclose business strategies. Will gamers need to be a member of PS Plus to enjoy PS Now? Can PS Plus members use the PS Now service at a discounted price? (Can members rent games at a discounted price? We are considering numerous possibilities, but have nothing to announce at this point in time. PS Plus offers PS, PS2, PS3 titles for free or at a discounted price. I understand that PS Now is planning to offer these titles in the future. Won’t PS Now cannibalize PS Plus? PS Now and PS Plus offer completely different services and targets different users, so we do not think the two services will compete. Must users subscribe to PS Plus in order to enjoy PS3 online multiplayer titles via PS Now on their PS4 systems? No. Users do not have to be a PS Plus member to enjoy PS3 online multiplayer titles on any PS Now compatible device. How many controllers can users use for game play on PS Now simultaneously? It will depend on the device. PS TV: We will announce further details when ready. BRAVIA: There are certain models that support a maximum of 4 DUALSHOCK 3, and models that support 2 DUALSHOCK 3. Plus, there are models that support Bluetooth connection and models that only support USB connection. Can you please give me the details of the BRAVIA private beta service? The private beta service will be offered to people who own a PS Now compatible 2014 U.S. model Sony BRAVIA TV in the US from June 30, and users can rent games for free or at an affordable price. DUALSHOCK®3 is also required. What is the difference between the BRAVIA private pilot service and the private beta service that has been conducted on PS3 since January? There are no differences in service content. Which BRAVIA TVs support PS Now private beta? We are supporting nearly all 2014 models of BRAVIA TVs. What games will be available on the BRAVIA private beta service? The same games that is available on the PS3/PS4 private beta service. What cities or states in the US will the BRAVIA private beta service become available first? Will the BRAVIA private beta service be available in Canada? How can users purchase games through PS on BRAVIA? Can users continue to play the games that they were playing on their living room BRAVIA TV on their PS3/PS4 in their bedroom? The games offered on the PS3/PS4 open beta service and the games offered on the BRAVIA private beta service are different. If the user is playing a game that is offered on both betas, then yes, the user can continue their gameplay from BRAVIA to PS3/PS4. When will you offer the open beta service on BRAVIA? We have nothing to announce at this point in time. We will announce further details when ready. Will BRAVIA come bundled with DUALSHOCK 3? We are considering every possibility, but do not have anything to announce at this point in time. Will BRAVIA support DUALSHOCK 4? BRAVIA only supports DS3 at this point in time. We have nothing to announce regarding the support of DS4. How does PlayStation Now work? Owners of a PS Now supported device will be able to access a rich library of PlayStation 3 games from our cloud servers. Unlike traditional methods of purchase (which require a physical disc or digital download), these games are hosted on PlayStation’s servers and instantly streamed to the user’s device. PS Now allows gamers to play their favorite games anywhere – start your game on one device, save to the cloud servers, and resume play on any PS Now supported device. We are launching on PlayStation devices: PS3 and PS4 followed by PS Vita/PS TV. Also most 2014 U.S. models of Sony’s BRAVIA TV lineup will support PS Now. We are not announcing support for other hardware at this point in time. We’re already talking with a variety of potential business partners, with the aim of further expanding our streaming game service to consumer electronics devices including smartphones and tablets beyond PlayStation and Sony devices. Where does the name of the service PS Now come from? We named this service “PS Now” because users will be able to instantly access the content, enjoying the service anywhere and anytime on supported devices. In which markets will it become available? It will initially become available in the United States. We will announce the service’s availability in other markets when ready. How many data centers does SCE have in the US? In which cities/states are they located? We do not disclose the latest information regarding data centers. Why isn’t it available in Europe, LATAM or Japan/Asia? Content streaming service is best adopted in the US, so we have decided to start service there. PS Now is a pioneer service, which requires robust and optimized infrastructures to ensure good users’ experiences. As such, we will continue expanding the streaming game service step by step. Do you have an update on Europe’s launch, given Jim Ryan’s comments on regarding broadband issues? We are considering every possibility and aspect for the service launch in Europe, and we are seeing the progress of the broadband network services in Europe getting better. We will announce more details when ready. How does PS Now differ from Microsoft’s cloud gaming service and those of other competitors? We do not comment on a cloud streaming service from Microsoft. PS Now is a brand new streaming game service that gamers will be able to access using their PS3s and PS4s, followed by PS Vita and BRAVIA TVs. The service will stream a vast library of 1st and 3rd party games instantly. Some of the world’s greatest games will be instantly accessible and playable in more places and on more devices than ever before. Additionally, when you purchase access to a game on one device, you can access it, save, and resume play from all your PS Now supported devices. This breadth of high quality content selection, console and consumer electronics device support, and high quality streaming service has never before been offered on a cloud streaming service. As Andy said during the CES 2014 keynote speech, will original PlayStation, PS2 games become available on PS Now? We are also currently considering measures to offer original PlayStation, PS2 and PS4 titles in the future, but at this time, only PS3 titles are being offered. How will gamers access those titles when the service launches? How about smartphones and tablets which Andy mentioned during the CES 2014 keynote speech? We will announce details when ready. What will gamers need to play the titles when the service launches? A controller? Anything else? Will 3rd party PS3 controllers work? Will PS3 controllers from SCE’s Official Licensed Products partners work? No. We do not guarantee support for PS3 controllers for PS Now other than products officially released from SCE. For OLP, we are considering every possibility, but do not have any announcement at this point in time. Will you support DUALSHOCK 4 wireless controller on devices other than PS4? How much specific bandwidth is required? It depends on the genres of game titles, but we are now estimating 5 MBPS+ would allow user to enjoy most titles on PS Now at a satisfactory level of quality. (A speed of over 5Mbps is required, 12Mbps is recommended). We will announce further details based on feedback from users joining the beta program. How much latency can gamers expect when playing games? We are focused on the gaming experience, and making it great no matter what genre of title you’re playing. In internal tests, our network has been proven to provide a low latency, high quality gaming experience. So will players be able to play multiplayer like FPS titles without any latency? Yes. We strive to make the gameplay experience feel as if the user is playing the game locally on their device; gameplay should feel fast and responsive, including for first person shooters. Will PS Now be like Gaikai’s service that only offer demos, or will it feature both demos and full games? We will of course feature full game support, but more details will be disclosed soon. Will it be possible to “spectate” friends’ games through PS Now, which is currently available on PS4 as one of its features? Will the service become available on PCs and in social networks like Facebook or YouTube similar to how Gaikai was able to do? Or will it be available on other devices like LG and Samsung Smart TVs, mobile tablets? We are launching on PlayStation devices: PS3 and PS4 followed by PS Vita/PS TV. In addition, most 2014 U.S. models of Sony’s BRAVIA TVs will support PS Now. We are not announcing support for other hardware at this point in time. We’re already talking with a variety of potential business partners, with the aim of further expanding our streaming game service to consumer electronics devices including smartphones and tablets beyond PlayStation and Sony devices. Can PS Now be seen as a feature supporting backward compatibility on PS4? No. PS4 does not have backwards compatibility. 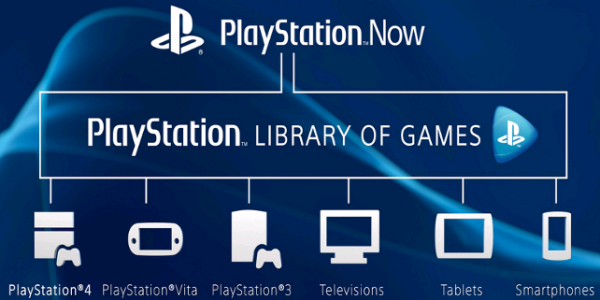 At launch, PS Now will offer instantaneous access to a library of high-quality PS3 content from a variety of devices. For PS4 users, this means they can stream favorite PS3 games right on their PS4 systems. More games will be added to the PS Now library based on demand. If someone has a save file on PS3, will they be able to continue play via PlayStation Now? We are considering every possibility, and are currently investigating how we might allow users to manage save data between PS Now and local PS3. We will announce the availability of that feature if and when it becomes available. Like PS Vita’s UMD passport (available in Japan), will you offer support plans for users who have PlayStation platform titles? Is PS Now the corresponding one? If titles which users already own on disc or digital download become available through PS Now can users enjoy them free of charge? Will all the PS3 titles become available through PS Now? At the start of the open beta service, users can enjoy over a 100 PS3 titles. We are considering supporting PS3 titles as many as we can. We have nothing to announce at this point in time, but titles which require specific peripherals will not become available through PS Now. We will announce the details when ready. Will you be able to stream a game while you download it simultaneously on PS4 or PS3? Will all of the same games become available on all PS Now supported devices? Yes, all games that have been made available for PS Now will become available to play on any PS Now enabled and supported device. Is an SEN account required to play? Yes, an SEN account is required. Can a user play at a friend’s house on a friend’s supported BRAVIA TV? Yes, by signing into PlayStation Now through their SEN account. How does a user make the controller work with their BRAVIA TV? The TV and controller must first be paired a USB cable. Once the controller is paired, the user can play wirelessly on nearly all 2014 BRAVIA TV models via Bluetooth. Will 3rd party PS3 controllers work on BRAVIA TV? No. We do not guarantee support for PS3 controllers for PS Now other than the officially released DUALSHOCK 3 from SCE.